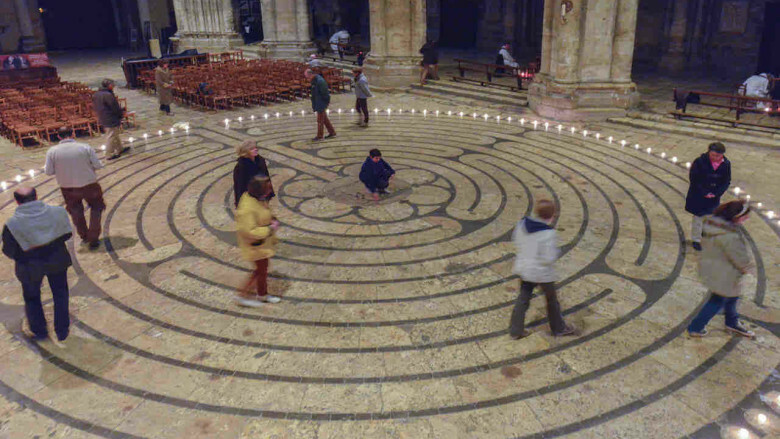 The labyrinth in Chartres Cathedral is open. It can be walked each Friday between the beginning of Lent and October 31 from approximately10:00 am until 5:00. Check here for more information on the availability of the labyrinth for public walking. The Chartres labyrinth, created in the early thirteenth century, with a diameter of 12,88 meters, spans the entire nave of the cathedral. It’s pathway, which begins in the west, winds back and forth without interruption for 261.5 meters before arriving in the center. Twelve circles, divided into four quadrants, form its pattern. Until 1792 there was a copper plaque in the center featuring either Theseus and the Minotaur, or the New Jerusalem. Unique design features of the Chartres labyrinth include the floral design in the center with its six petals and 113 rays that extend out from the outer circle. 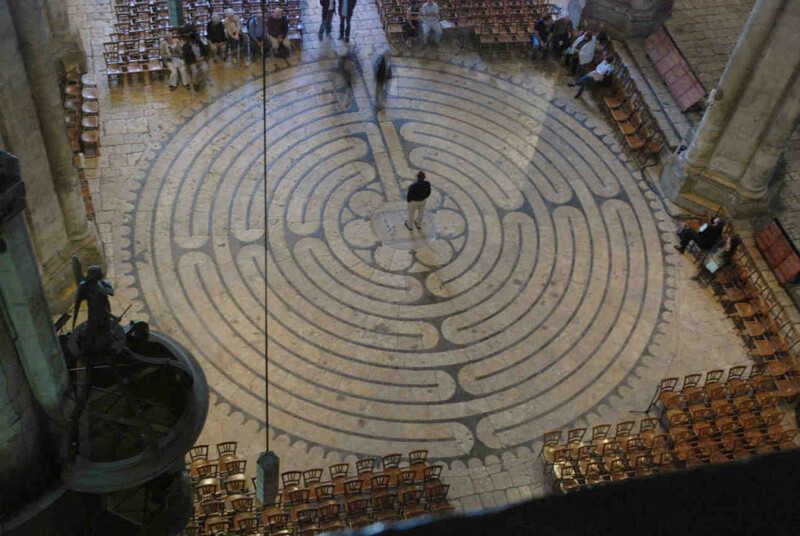 Two recommended books on the cathedral labyrinth: Praying the Labyrinth and Praying the Chartres Labyrinth, both written by Jill. Also recommended: Is That A Fact? by Jeff and Kimberly Saward. 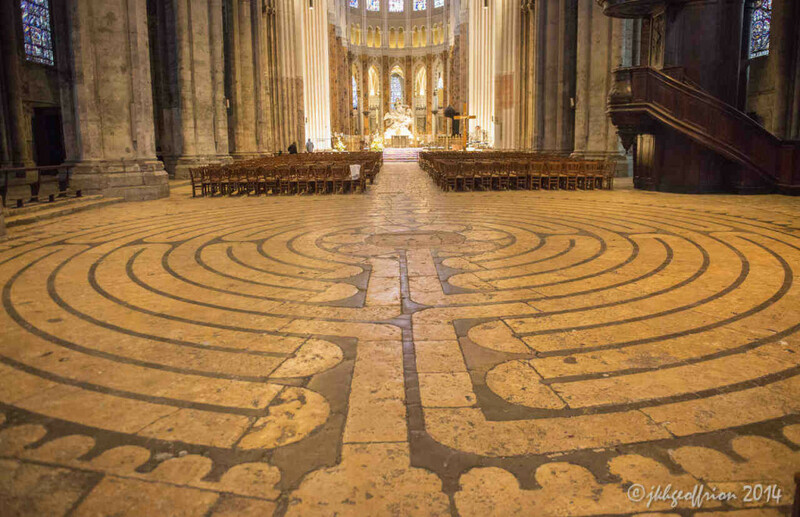 If you only have time to read one article about the Chartres labyrinth, please read this one (and save yourself a lot of confusion and misinformation). that unfolds at your feet.